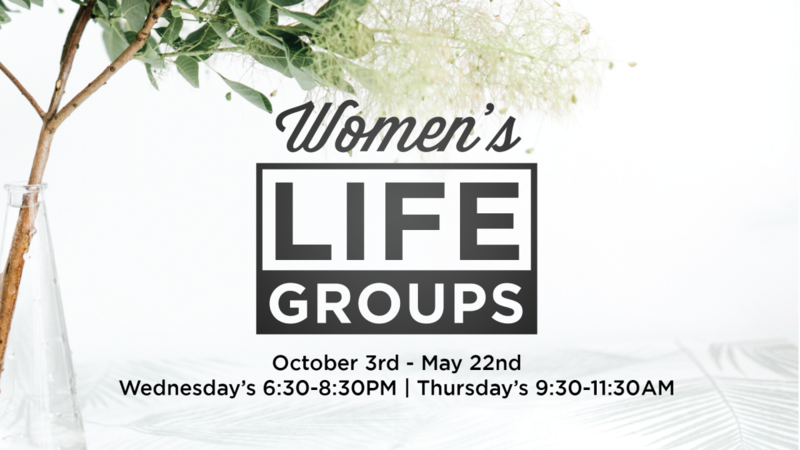 Women's Life Groups are starting up October 3 & 4. Join us as we explore what the Bible says about what it means to be Daughters of God! Sign-up on CCO or in the Lobby. Meets in Northshore Auditorium, Wednesday 6:30-8:30 pm & Thursday 9:30-11:30. Free Childcare Available.